I’m always looking for fun new features that will make my music listening experience better. 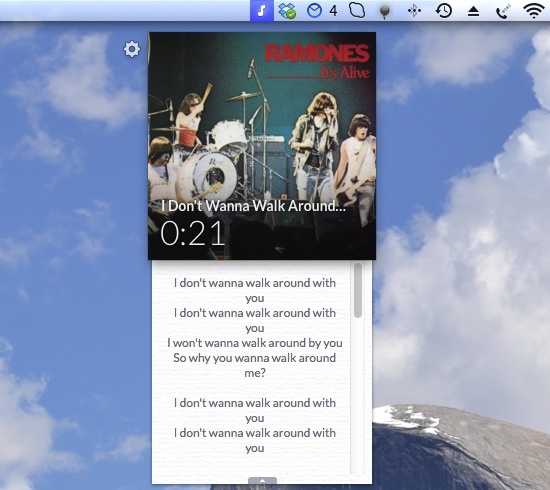 Music apps are a dime-a-dozen for iOS, but there are not a whole lot of good music apps for the Mac. There are even fewer good free music apps. There isn’t a whole lot to the design of this app because there isn’t a whole lot to the app at all. Once Muzzy is downloaded, an icon will appear in your Mac’s menu bar. The icon looks like a musical instrument. When you select it, a square will appear with the album art of the current track of music that is playing. The name and length of the song will be displayed, as well as the current time in the track. “Flipping over” the album will reveal the track listing with times for each song. To flip your album, select the menu icon at the top-right of the box. Every time a new song begins, a track notification will appear as a word bubble in blue. The word bubble will show the name of the song. 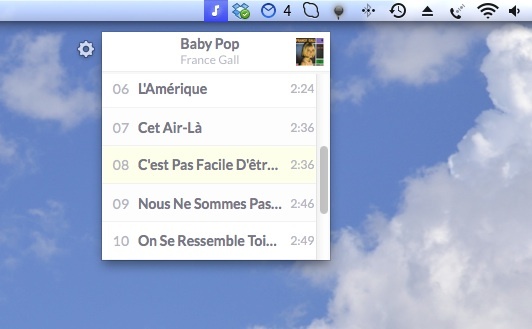 Muzzy puts an iTunes companion in your menu bar so you have quick access to a few aspects of your music. After you download the app, open iTunes and start playing a song. The app will automatically generate the album art, song title, and song length of each track. To see this information, select the musical note icon in your menu bar. You can fast forward or rewind through songs right in Muzzy by selecting a spot in the box. 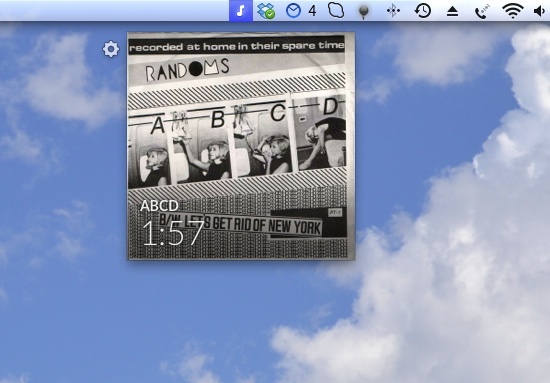 When you move your cursor around on the album art, you will see the time of the song change. This is alerting you that, when you click that specific spot, the song will skip back or forward to that part of the song. If you want to see the current album’s song selection, tap the menu icon at the top-right of the app. The album will flip around so you can see all songs and their length in order. You can skip to a different song by double-clicking on it. If you have lyrics already input into your songs from iTunes, Muzzy will automatically detect them and add a floating panel behind the app that you can click on to access a dropdown menu. Click the arrow tab if you don’t want to see the lyrics anymore. In the setting section, you can turn on login launch, turn off track notification, or turn off the Plugout feature. Plugout is a feature that pauses your music if you unplug your headphones from your computer. This is a nice feature on the iPhone that desktop and laptop computers don’t have. If you often find yourself checking back to your iTunes window to see the name of a song, or to see which album or band you are listening to, this is a great companion for iTunes. You can have quick access to some basic features of iTunes without having to open the full window. I love being able to skip around in songs just by clicking a different spot on the app. My favorite feature is the track notification. I love seeing the next song that is playing without having to look it up. I really wish you could pause and play music from Muzzy. That is the only thing missing from this app. You can download Muzzy for free and add it to your desktop right away. I’d call it a great value for something so useful. Of course, there will be a handful of people who will say, “Why would someone want something like this? It’s useless.” So, not everyone will agree that it is a great feature for your iTunes. But, I think most of our readers will see the value in Muzzy. I always have a difficult time remembering the names of songs. When I’m typing away on my desktop and listening to iTunes, Muzzy will show the name of every song that I have in iTunes as it plays. I also forget the name of bands sometimes and will often need to look that up as well. 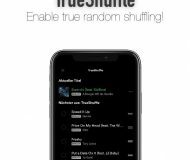 If you find yourself opening your iTunes window a lot to see what band you are listening to or the name of the song that is playing, this is a great app for you. Download Muzzy in the Mac App Store for free.